Speakeasy Toastmasters will hold a club contest on Wednesday, March 16 2015 from 6:30pm to 8:30pm. During the speech contest, we will get a chance to hear great speeches from our two contestants. Please feel free to come out and join us in this event! The Club contest will then be followed by 30 minute prepared speeches by 3 of our members. 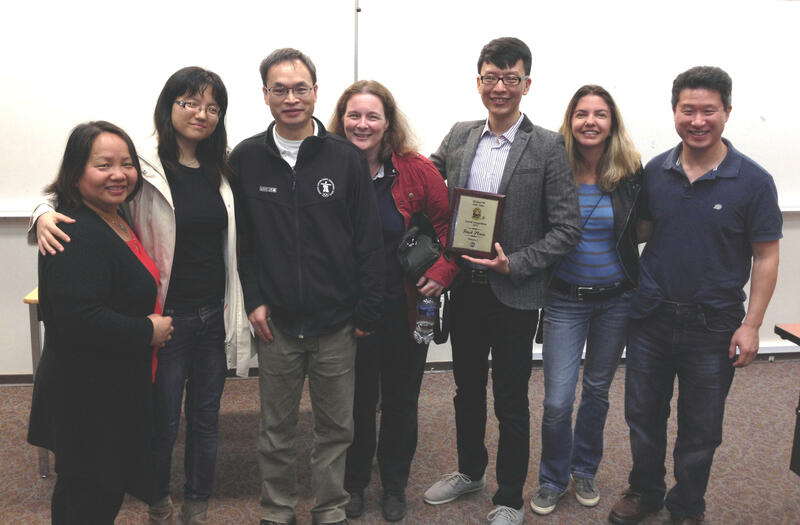 First Place Award for 2014 Tall Tales Contest goes to… Charles Wang! It is my greatest pleasure to inform you that our club member Charles Wang won the first price in Tall Tales contest in the Division J level. If you were at the contest, many of you were, you will agree with me that all contestants delivered fabulous speeches and the room was filled with waves and waves of laugh. Contratulations to Charles! As the winner, he will be representing Division J at the District 96 Fall Conference at the Port Moody City Hall. The contest will be a part of District Fall conference.